We are wedding and event experts. The Platinum Photo Booth is a luxury photo booth company! 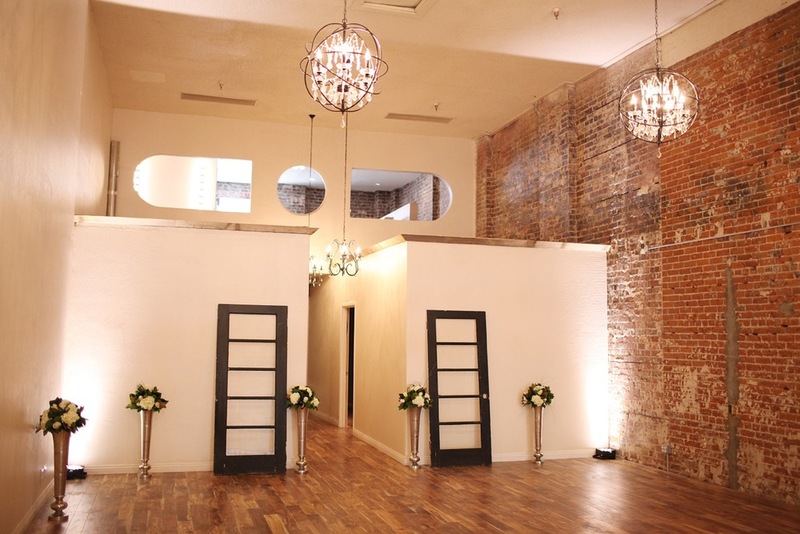 The Platinum Photo Booth was founded by Erin Michele Doran, who has been in the wedding industry for over ten years. She decided to offer her clients a service that was unique to her "service territory" of Modesto, California. After months of research, she designed the PERFECT photo booth for weddings and special events. Erin wanted something different than the traditional photo booth design; a design that would fit more seamlessly at a wedding reception which included soft lines and luxury elements. The Platinum Photo Booth was launched in 2008 and after just one year, has expanded to service the entire state of California and the island of Oahu in Hawaii. 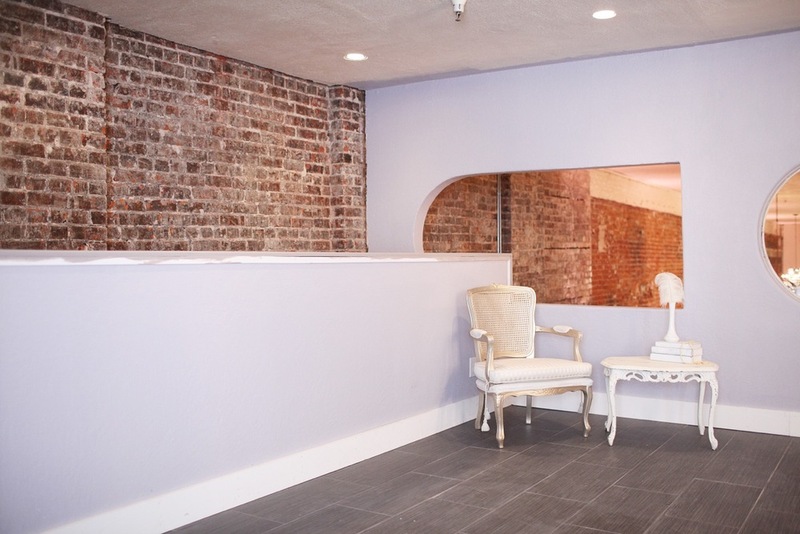 Erin continues to perfect the photo booth with emerging trends and requests from her clients. Erin's brother, Chris joined the company as the Director of Creative Engineering & Regional Expansion Supervisor. His addition to the team has had a tremendous impact on the success of the company's quality assurance and expansion projects. This sister/brother team have created a photo booth service that will ALWAYS exceed your expectations. They have taken the photo booth rental industry to an unparalleled level of expertise! The Platinum Photo Booth continues to be the most demanded photo booth company due to our "attention to detail." Our design team is dedicated to creating a photo booth that represents your unique taste and style! Skills earned from her Bachelor of Science degree in Business Management and Account Executive roles in Fortune 500 companies, has provided her professional behavior, ethical business practice and quality service. Erin has created two other successful businesses and knows what it takes to build a loyal business structure. You will always be treated with professional and respectful service! 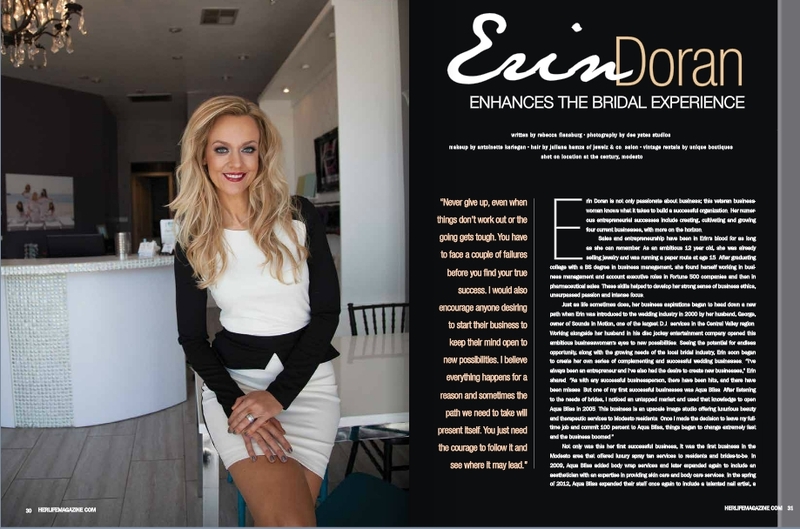 We are excited to share the cover and article of HerLife Magazine who highlighted Erin Doran, Founder of The Platinum Photo Booth as a wedding industry expert in the February Issue! See the online version here! Erin has created three other successful businesses. Please be sure to check them out! 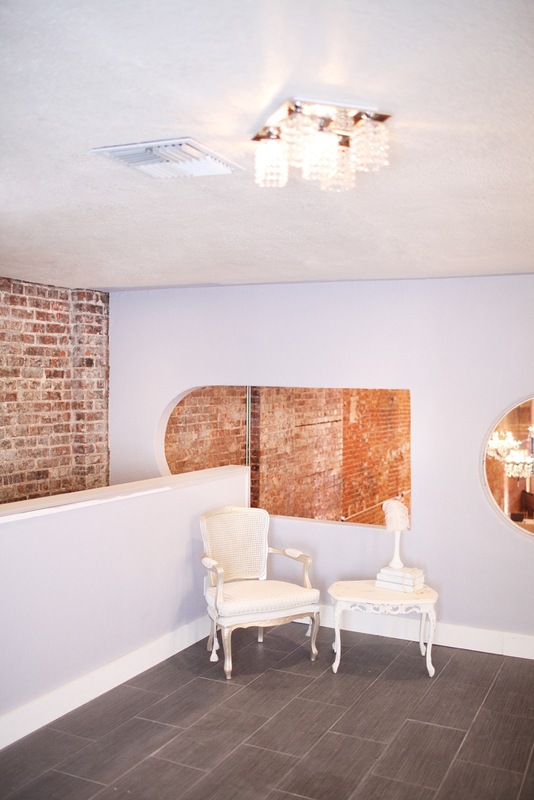 Aqua Bliss is an upscale Image Studio. 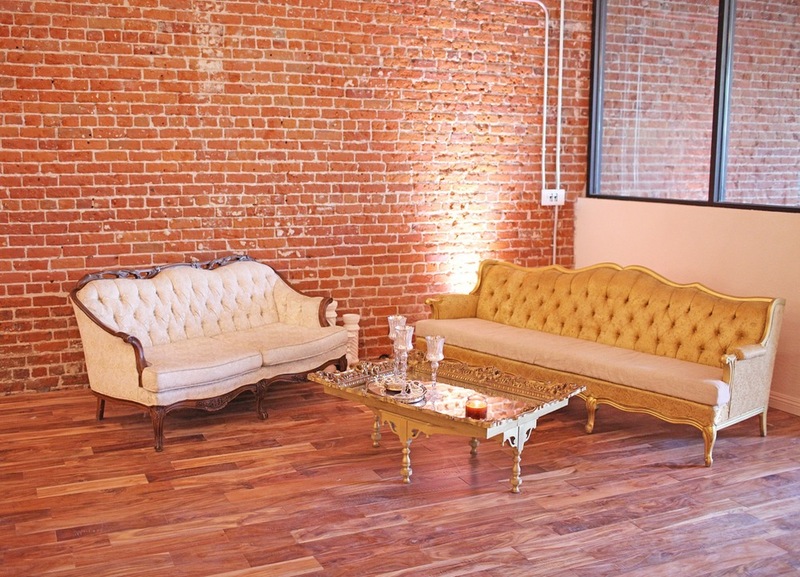 Wedding Loft is a wedding resource center. 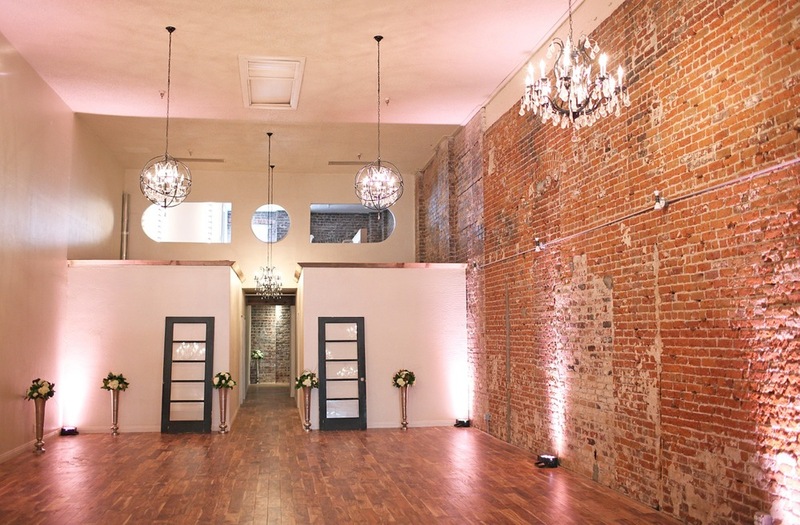 The Century is Modesto's newest Event & Wedding Venue! 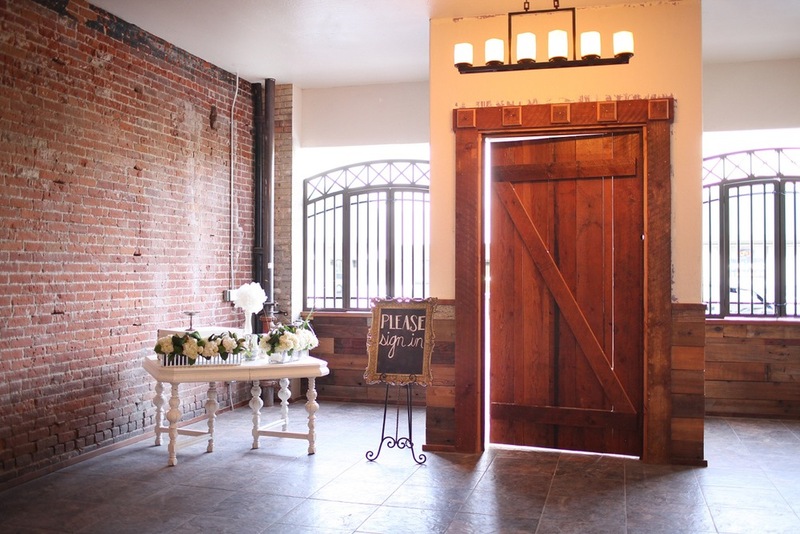 Imagine yourself walking into a building built back in the early 1900's.....old exposed brick walls, 20 foot ceilings adorned with crystal chandeliers, spectacular hand-scraped wood floors, private posh VIP room, chic restrooms, gorgeous patios embellished with a beautiful brick candle wall.....and that's just the beginning of the Event of The Century!